Google is rolling out profiles with information on Google products you use. Google Operating System reports that these profiles integrating in to all Google services so you have one identity across the Google services. 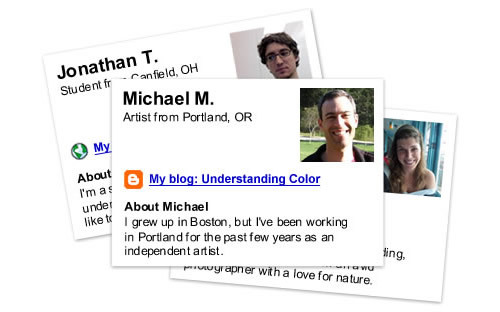 Profiles contain information like a nick name, occupation, location, links, photos and short description if you choose one. These profiles are public and they are searchable that means people can find you if you put your real name. Is this something like people search engine, or Google is trying to build a social network thingy with these profiles?. What do you think? That’s pretty interesting buddy. As to the social network aspect, I think they’d rather provide the software rather than the service. i think its a gud idea…they should also extend it rather than limiting it to google products..this thing could be a separate service in itself.